With eye-catching style and heart-thumping mechanics, the Mitsubishi Eclipse sport coupe — in production for more than 20 years — was an Eclipse you couldn’t help but stare at. Its low, road-hugging stance stood out among other sporty coupes and promised to raise its owners’ street cred. In the face of countless competitors, the two-door, four-seat Mitsubishi sports car maintained continued success over four generations and, to this day, has a strong fanbase of car aficionados and motorsport enthusiasts. For those who seek the unconventional. We pack it with features. You pack it with memories. Incredible features for amazing adventures. Despite being built at a Mitsubishi plant in an Illinois town called Normal, the Mitsubishi Eclipse was anything but — attracting plenty of attention for its futuristic appearance and wide, sporty silhouette. The first generation Eclipse — designed in the U.S. at the Mitsubishi Motors North America Design Studio and introduced in 1990 — was available in four trim levels: Eclipse, Eclipse GS, Eclipse GS-T (Turbo) and Eclipse GSX. With the exception of the all-wheel drive GSX, each Mitsubishi Eclipse was front-wheel drive. Both the Mitsubishi Eclipse GS Turbo and Eclipse GSX were equipped with a turbocharged 2.0-liter 4G63 engine that achieved up to 195 horsepower, and could go from zero-to-60 in less than seven seconds. With its spirited acceleration and precise handling, it was entirely befitting for the purpose-built Eclipse to be named after an 18th century English racehorse with a record number of wins. Over the years, new models were added and Eclipse continued to anticipate desires and exceed expectations of form, function, beauty and technology — as a true driver’s car should. But as Mitsubishi’s global focus shifted towards meeting environmental targets around the world, the company announced the discontinuation of the Eclipse, to invest more time and effort into developing battery technology. To mark the end of the Eclipse’s illustrious career, a final special edition was created for both the sport coupe and Eclipse Spyder models. The 2012 Mitsubishi Eclipse Special Edition featured distinctive badging, leather interior with contrasting stitching, a sunroof for the coupe version, and a choice of two engines: a 2.4-liter 4-cylinder engine producing 162 hp, or 3.8-liter V6 cranking out up to 265 hp. Today, while the Mitsubishi Eclipse sport coupe is no longer produced, drivers can still be the envy of the masses with Mitsubishi’s lineup of versatile crossovers, including the Eclipse Cross — a crossover SUV with sharp coupe looks that builds on a history of style, and fun-to-drive dynamics. Mitsubishi designs are rooted in Mitsubishi heritage. And since there was much to love about the Mitsubishi Eclipse sport coupe, it was only natural that it would inspire one of the best-loved vehicles in our current lineup: the Mitsubishi Eclipse Cross. Although the two vehicle platforms are distinct, both are driver-centric. Many features that made the Eclipse a success — from the ergonomically-designed cabin to the turbo engine — were fined tuned and live on in its namesake. The GSX’s all-wheel-drive technology continues in the Eclipse Cross with a new version of Super All-Wheel Control (S-AWC). And much like the Mitsubishi Eclipse GS-T and GSX, the Eclipse Cross is equipped with a turbocharged engine that encourages weight savings. The feature has been adjusted to promote better mileage results. While the coupes’ Sportronic® transmission is not akin to the Eclipse Cross’ CVT, it did inspire Mitsubishi to add paddle shifters2 to the Eclipse Cross’ steering column, giving the crossover a sportier feel. In addition to the available paddle shifters, the 8-step sport mode lets drivers shift manually for maximum control. The Mitsubishi Eclipse compact sport coupe debuts in America with a turbocharged 4G63 engine and available all-wheel drive technology. It goes on to make Car and Driver’s '10 Best List' for four consecutive years (1989-1992). During Eclipse’s second-generation, Mitsubishi introduces the soft-top convertible Eclipse — delighting open air thrill-seekers. 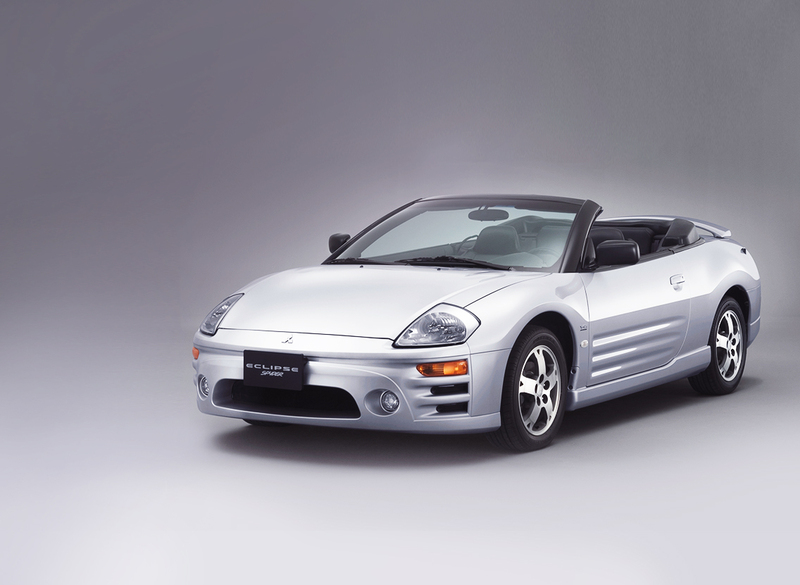 The Mitsubishi Eclipse Spyder is available in two trim levels: Spyder GS, powered by a 4G64 normally aspirated engine, and Spyder GS-T, featuring Mitsubishi’s turbocharged 4G63 engine. Mitsubishi introduces the Eclipse GTS trim. Built with a powerful 3.0-liter V6 engine with a variable induction system, this line-topping third-generation model raises the Eclipse’s power to the tune of 200 horses. The Mitsubishi E-boost concept that gave life to the fourth generation Eclipse earns a prestigious 2005 Gold Industrial Design Excellence Award (IDEA) for its soft, athletic lines and unique departure from boxy automotive trends. An Eclipse Special Edition — painted Kalapana Black, as chosen by Mitsubishi fans on Facebook — is the final model to roll off the assembly line in August of 2011. The Mitsubishi Eclipse SE is auctioned off, and proceeds are donated to the Japanese Red Cross to help victims of the 2011 Tõhoku earthquake and tsunami. Does Mitsubishi still make the Eclipse? No. The 2012 Mitsubishi Eclipse was the final in a series produced since 1989. 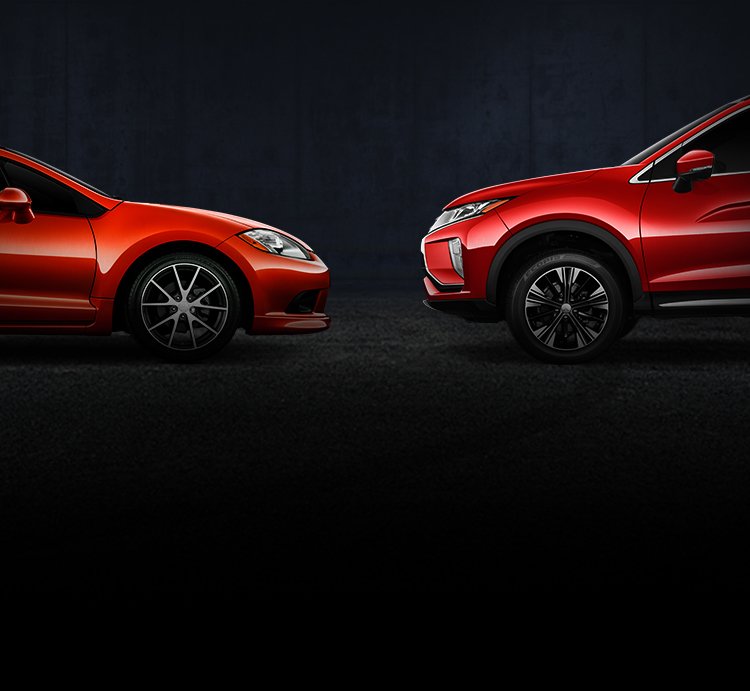 In 2018, however, the well-loved Eclipse moniker made a comeback in the form of a technology-based crossover: the Eclipse Cross. Equipped with a 1.5L turbo engine, the crossover SUV achieves an impressive 184 lb-foot torque off the line. The Eclipse Cross received a prestigious GOOD DESIGNTM3 award for Design Excellence and Design Innovation by The Chicago Athenaeum. It was also awarded ”Car of the year 2019” by the Automotive Researchers’ & Journalists’ Conference of Japan (RJC). When and why did Mitsubishi discontinue the Eclipse? 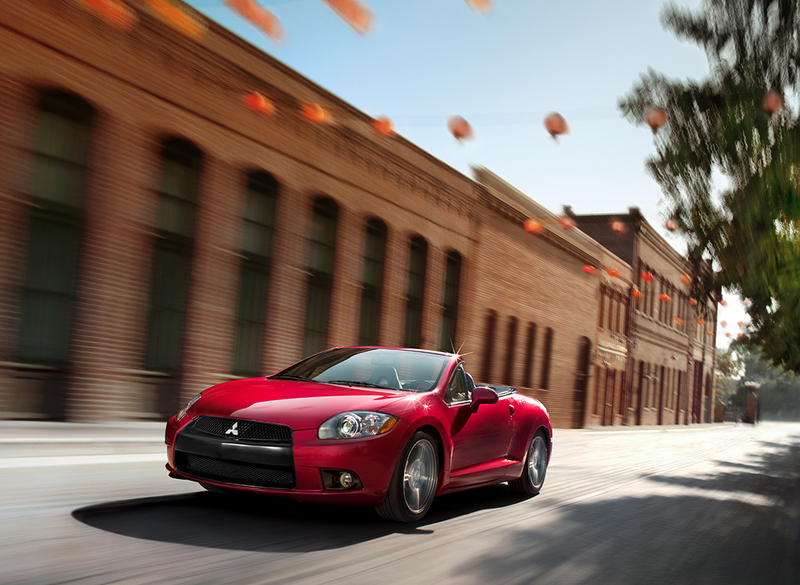 Mitsubishi stopped production of the Eclipse in August of 2011 to focus on electric and smaller footprint vehicles. In 2012, Mitsubishi started selling the i-MiEV — the company’s first electric car — to US markets. Does Mitsubishi plan to bring back the Eclipse? Mitsubishi remains focused on crossover and electric/hybrid car segments, and there are no plans to bring back the Eclipse Sport Coupe. Which Mitsubishi Eclipse model was equipped with AWD? The Mitsubishi Eclipse GSX was the only all-wheel drive model available in North America. All other models were front-wheel drive. 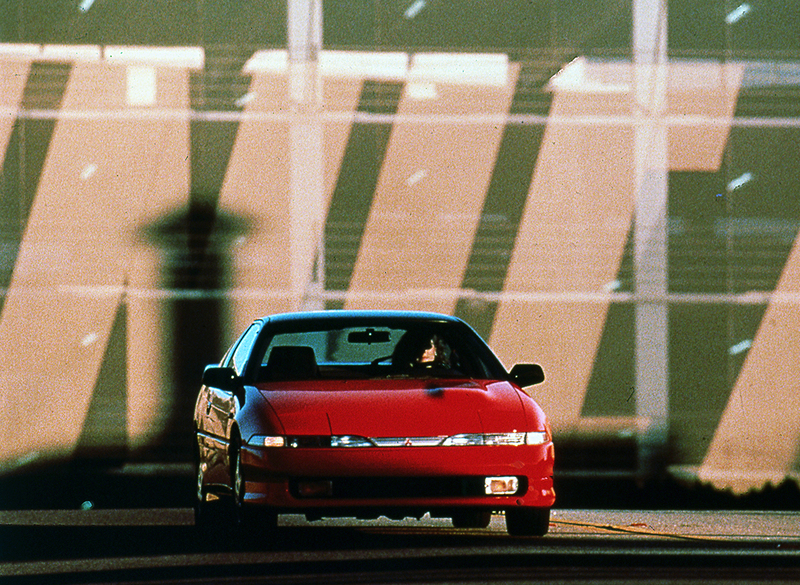 The GSX — also known as the Grand Sport X — was produced for the first two Eclipse generations, and discontinued in the year 2000. Which Mitsubishi Eclipse model had a turbo engine? In its first generation, the Mitsubishi Eclipse GS-T and GSX were both equipped with a 4G63 turbo engine, achieving up to 195 hp. The second generation added a new turbo-equipped model, the Spyder GS-T convertible, and even more power with turbo engines now achieving up to 210 hp. Explore Mitsubishi's current lineup of performance-oriented crossovers and smaller footprint vehicles. 2 Availableon Eclipse Cross SEL model. 3 In the permanent Design Collection of The Chicago Athenaeum: Museum of Architecture and Design.